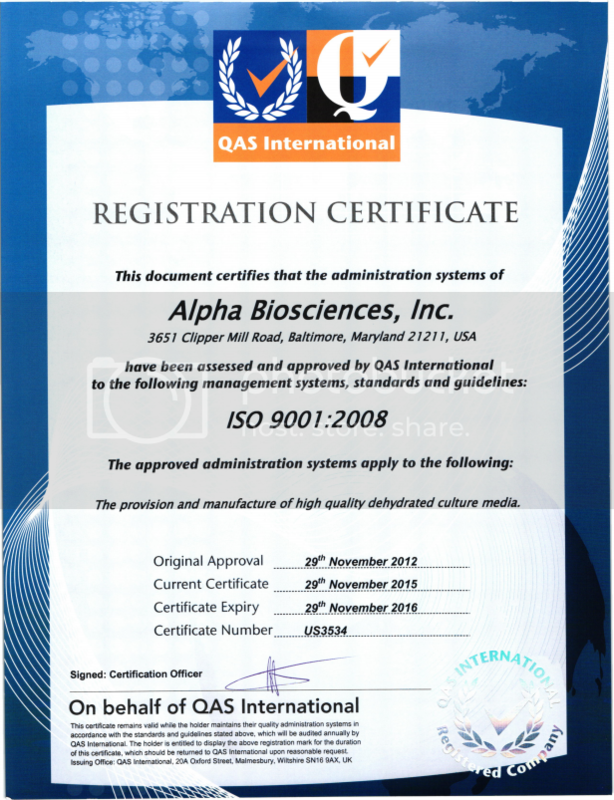 Alpha Biosciences is now ISO 9001:2015 Certified! Beer Media: What Do You Need? We are proud to announce that Alpha Biosciences has passed its' 2016 ISO 9001:2008 certification audit. This prestigious title shows our commitment to the continual improvement of our quality management systems.